That made me laugh out loud in my office! Perfect resolutions!! I second all of those!! Happy New Year, goodbye 2009, hello 2010!!! General grumpiness aside, may we all make friends and be happy. And drink great coffee. See you at Biggby. My name is Alex and I am an administrative assistant for Real Estate One. 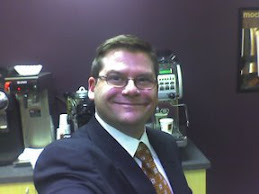 Let me start off by saying, real estate agents love coffe, and luckily there is a Biggby right next to us!! Previously this year you gave a lecture to my business class at the University of Michigan Dearborn and I thought you had some great things to say! Here at Real Estate One we just started something new called marketing mondays, and we would love for you to be our first guest speaker! We love how you use social networking to market your business and have fun doing it at the same time! Please let me know if you would be interested!! My email is alexdhamilton@comcast.net I hope to see you soon! Go Lansing! 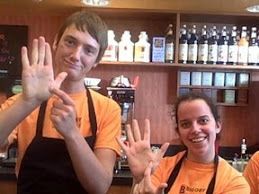 Go BIGGBY! Go MICHIGAN!